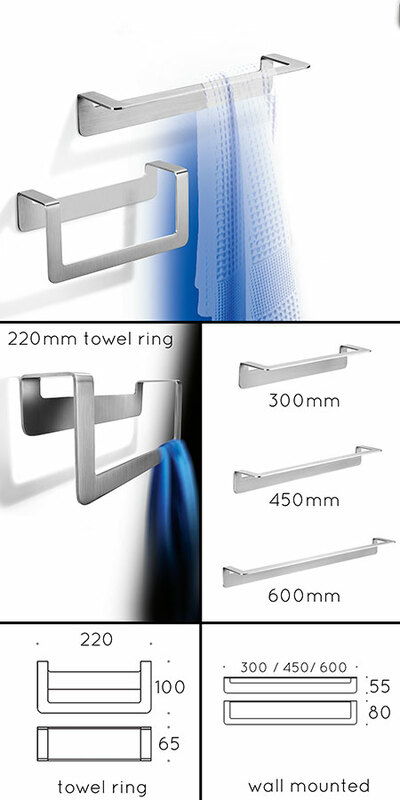 Contemporary stainless steel towel rails and towel rings in a satin brushed finish. These wall mounted bathroom accessories are self adhesive fixed which is a permanent solution to drilling of very hard or expensive wall tiles and coverings. * 3 towel rail lengths.